Starring Willem Dafoe, Rupert Friend, Oscar Isaac, Emmanuelle Seigner, Mathieu Amalric and Mads Mikkelsen. Isolated in a yellow house in rural France, Vincent Van Gogh is prolific with his paintings, but sees his mental state gradually unravel. 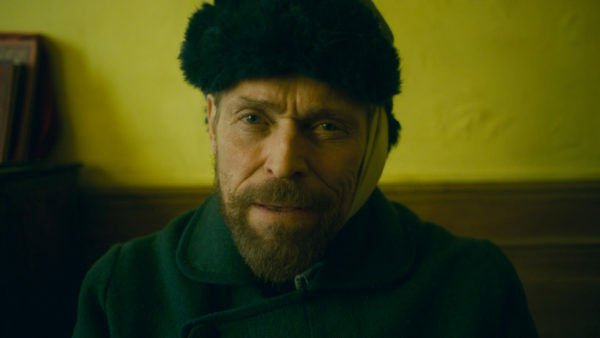 There’s a moment in At Eternity’s Gate, which may or may not be deliberate, in which Willem Dafoe’s Vincent Van Gogh states, in the midst of anguish, that “I don’t know what I’m capable of when I’m like this”, as his ear fills the frame. Part of me expected a horror movie flash-forward to the bloodied ear lying on the wooden floor of his yellow house. It wouldn’t have been any more on the nose. 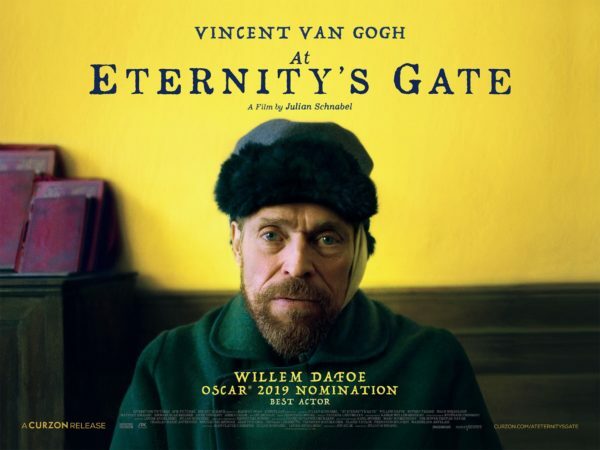 This is a lengthy and reverent take on Van Gogh, helmed by Oscar nominee Julian Schnabel, who is himself a painter. It follows Dafoe’s take on the Dutch post-impressionist as he wanders around the southern French location of Arles. When he first arrives, he quickly paints a portrait of his boots, as if captured by a sudden flash of inspiration. He spends the next few weeks rapidly painting as many landscapes as he can set his eyes upon, declaring that “paintings have to be done in one clear gesture” as he frantically, breathlessly works. It’s almost as if he believes someone could tear the canvas away from him at any moment. 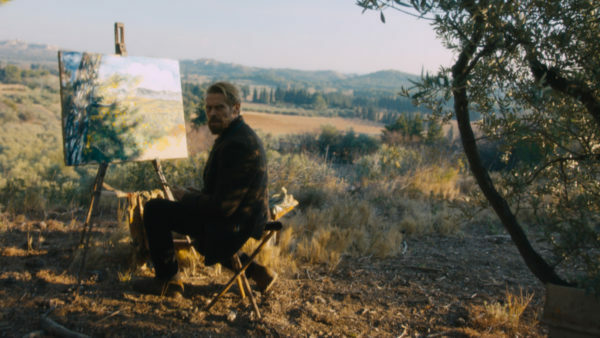 Schnabel sticks closely to Dafoe throughout the film, following him both physically and in verbose, pretentious voiceover in which the painter waffles endlessly about the nature of art, religion and existence. He’s largely alone, with occasional visits by Rupert Friend as Vincent’s brother and Oscar Isaac as Paul Gauguin, whom Vincent idolises and finds endlessly interesting. Incidentally, that’s not a point of view likely to be shared by anyone in the audience. The supporting characters are every bit as dull and infuriating as anything else in the film. At times, the movie frames Gauguin almost as if he may be a figment of Van Gogh’s imagination – Tyler Durden with a sketch book – but nothing of the sort transpires. It’s difficult to pinpoint what it is about this film that goes so wrong. Theoretically, the notion of exploring Van Gogh’s increasingly fractured mental state is an interesting one, but every wrinkle of that story is usurped by Schnabel’s ponderous, pretentious direction. Why focus more on the implications of a scene in which Van Gogh flies into a rage at some slightly irritating schoolkids when you can deliver another few pages of nonsensical narration? 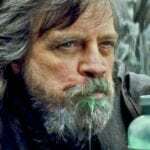 Even the pivotal ear cutting scene plays out through the medium of narration, giving way to a third act in which characters mostly gabble at each other in close-up. 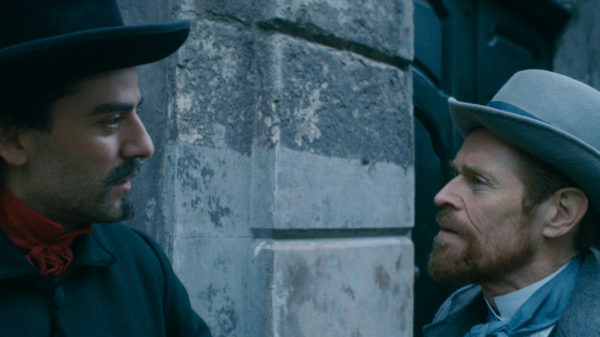 Dafoe was nominated for the Best Actor Oscar for his performance in At Eternity’s Gate, but it’s difficult to see why voters deemed it to be so significant. The film’s myriad flaws are down to Schnabel more than they are to his star, but Dafoe doesn’t seem sure where to pitch his Van Gogh. On the one hand, he’s a creative force of nature – a blunt instrument like Timothy Spall’s spitting Mr Turner – capable of producing hundreds of works in the final few years of his life. On the other, he’s a fragile and profoundly ill man, but Dafoe’s performance is never given room to draw the lines between those multiple facets of the character. The heavy stylistic tricks of the film are left to do a lot of the heavy lifting. Tatiana Lisovskaya’s big, orchestral score is trying to add weight that simply isn’t there, while the admittedly impressive colour of the visual palette ensures the movie always looks engagingly painterly, even in the face of the weirdness of the story being told. This is a huge and very unusual swing and a miss of a movie that, in terms of telling the Van Gogh story, makes less emotional impact than that excellent Doctor Who episode from a few years ago. Watch that instead.